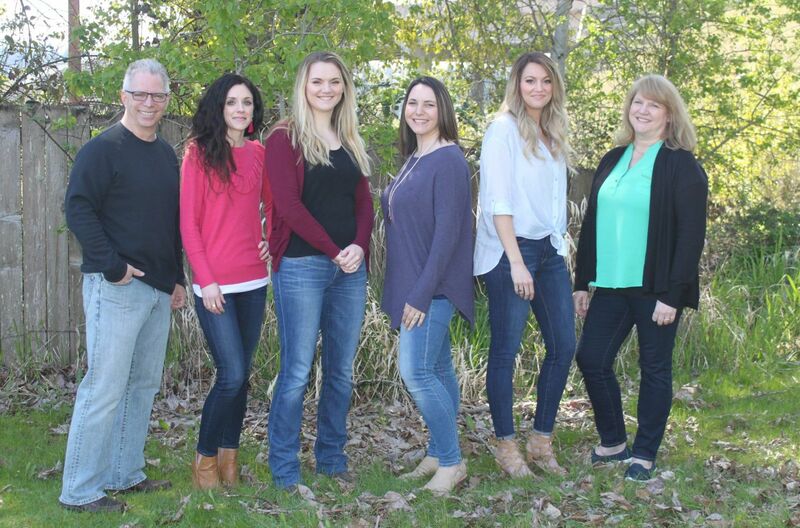 Twice a month for as long as East Main Vision Clinic has existed, our staff has the opportunity to wear jeans to work! But it’s not your typical “Casual Friday” situation. Each time we wear jeans to work, we each donate $5 to our charity fund! At the end of the year (and sometimes throughout the year if needed) we add up our donations and buy meals and gifts for families in need. Through our partnerships with both Step by Step and New Beginnings Homes, we are able to donate gifts to mothers and babies during the holiday season. 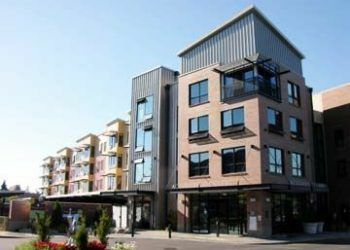 East Main Vision Clinic has a deep partnership with the Jamie’s Heart Foundation. 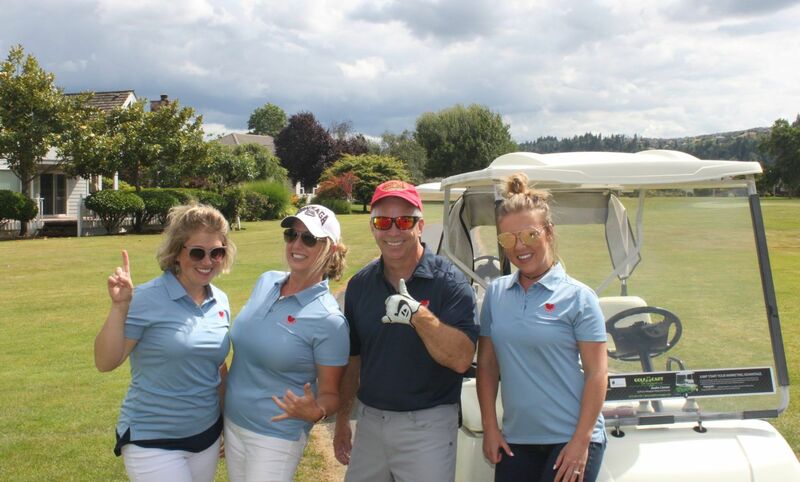 Our volunteers gathered with other community members for a charity golf tournament! Our volunteers kept the players supplied with refreshments, golf balls, and lots of laughs as they competed in various events to raise money for the Foundation. 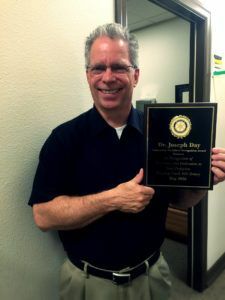 East Main Vision Clinic and Dr. Joseph Day were recognized by the South Hill Puyallup Rotary for outstanding business practices and professional skills. Dr. Day was honored “for being such an example to business owners, family members, and clinicians in our community.” While Dr. Day has practiced optometry for over 30 years, it is obvious that his professional skill goes far beyond that of an “eye doctor.” He supports his local community through health fairs, lectures, and by mentoring future optometrists. The Puyallup Activity Center hosted their annual “Spring into Health” Fair in May and EMVC was happy to represent the eye care community. They provided education on cataracts and their development, as well as information on what benefits are available when surgery becomes necessary. 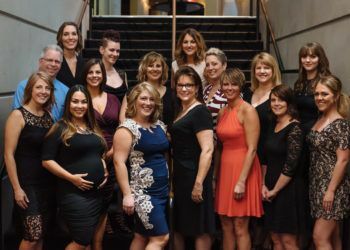 East Main Vision Clinic made their presence known at the annual fundraising event for Jamie’s Heart Foundation, a local non-profit dedicated to providing emotional and financial assistance to children with congenital heart defects and the families that care for these children. This year’s fundraiser brought their fund-raising total to a staggering $139,906! East Main Vision Clinic was happy to supply a fun summer gift basket, stuffed to the brim with sunglasses, drink cups, sunscreen, and snacks! 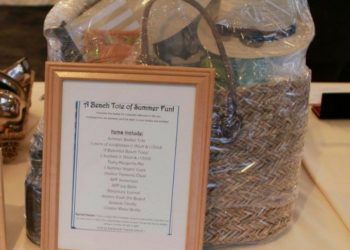 The basket sold for $300!